CHICAGO-The Association of Specialized Government and Cooperative Library Agencies (ASGCLA) offers an international trip annually open to its members and the general public. 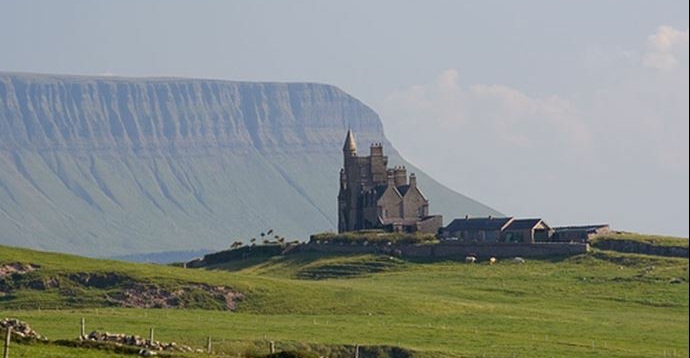 This year join ASGCLA during our 2019 literary tour to North & Western Ireland. We will travel May 11-28, 2019 on a seven night themed tour focusing on some of the greatest writers to come from the region. These writers include W.B.Yeats, Seamus Heaney, C.S. Lewis and hundreds of others that are part of the collective culture of the Irish literary world. This fascinating tour will take you to a writer's birthplaces, schools, writing rooms and final homes. History and epic scenery will be taken in each day to delight and wonder the visitor to this ancient and wildly beautiful country. The tour includes two nights in Belfast City, two nights in Sligo County, two nights in Galway City and one night in Ennic, Co. Clare. Cost*: $2350 per person for double occupancy (single supplemtn +$500). Airfare and travel insurance not included bu can be provided upon request. There is a maximum of 10 single supplement fare available, please inquire at time of booking. Room sharing is available and encouraged, but not guaranteed; otherwise the single supplement applies. Terms and Conditions: Although unlikely, we reserve the right to alter the itinerary or change hotels if required. Once deposit is taken, it is non-refundable. Participants must be in good health and able to walk long distances in order to participate. Booking this itinerary means you comply and agree you are in good physicial condition to participate. If not, you may not be able to be accommodated during the trip for portions of the itinerary.